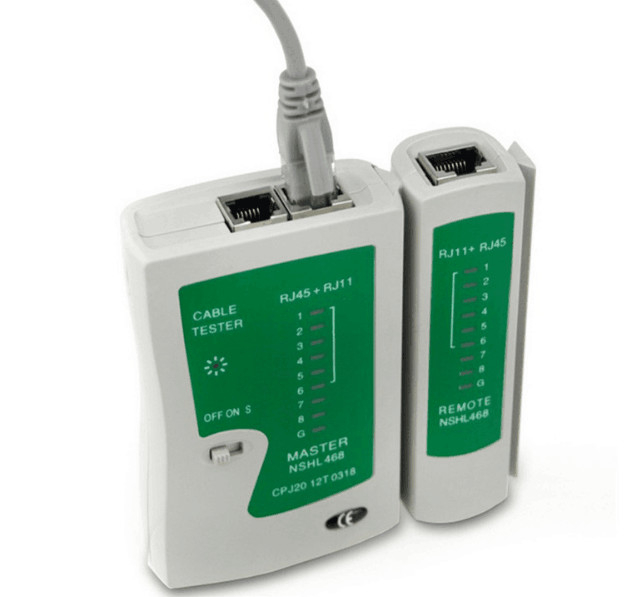 This LAN Network Cable Tester is requisite and needful in network installation and maintenance. 1. It can test correspondingly double-twisted cables 1,2,3,4,5,6,7,8 and G,meanwile,can judge wrong connection,short circuit and open circuit. 2. Switch ON shows the normal grade,S is slow automatic grade,M is manual. II. Test of double-twisted cables: Switch on the power,and put cables into both main tester and remote tester.The lights of the main tester will turn on equently from 1 to G.
1. If one cable, for example cable No.3 is open circuited, the two No.3 lights of the main tester and remote tester will not turn on. 2. If several cables are not connected, several lights will not turn on respectively. If less than two cables are connected ,none of the lights is on. 4. If two cables are short circuited, neither of the corresponding lights is on of the remote tester while main tester remains unchanged. If three cables, including three, are short circuited, none of the corresponding lights is on. III. 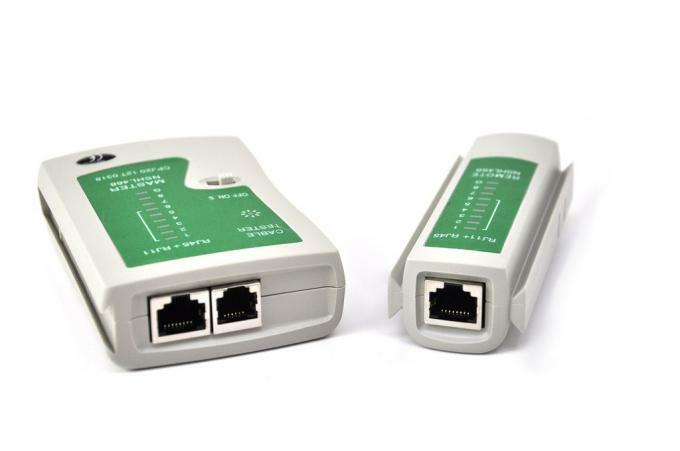 If test patch panels or wall plate outlets, two cables which can match with other (eg 110P4 and RJ45)will ne connected to the tester. IV. If test cables of the same axes,BNC turns on when the cables works.